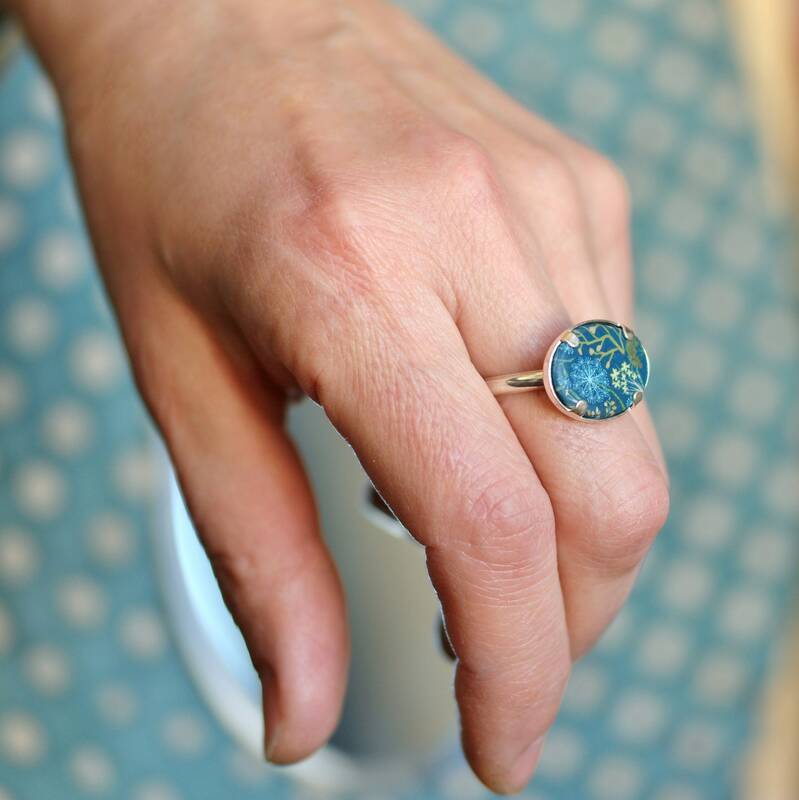 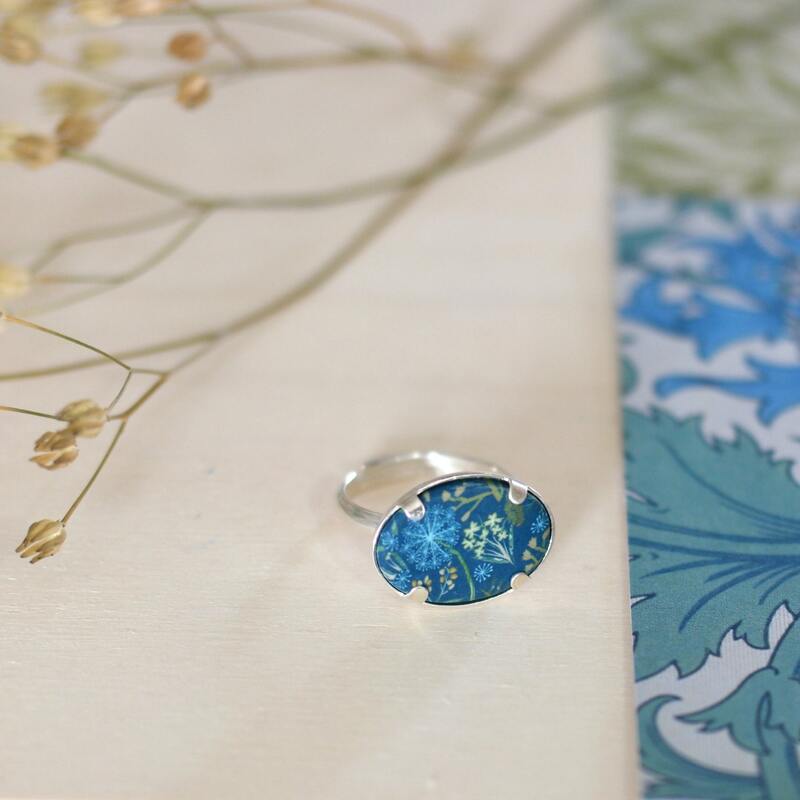 A ring full of poetry with attractive designs of wild flowers created entirely by hand in shades of teal, ochre, mustard yellow and green. 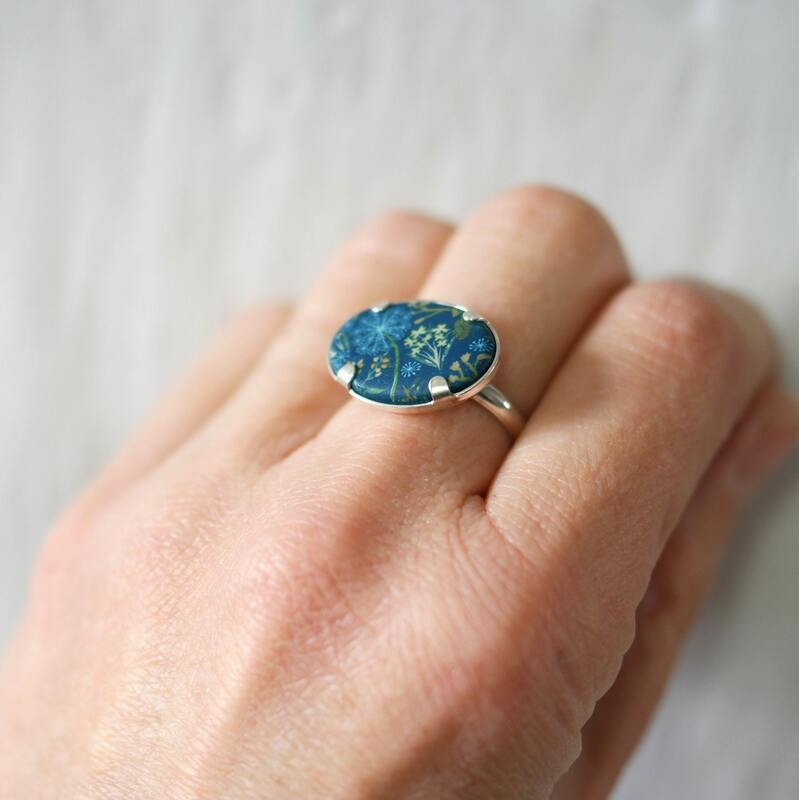 Polymer clay oval cabochon is set in a Silver 925 Adjustable ring. 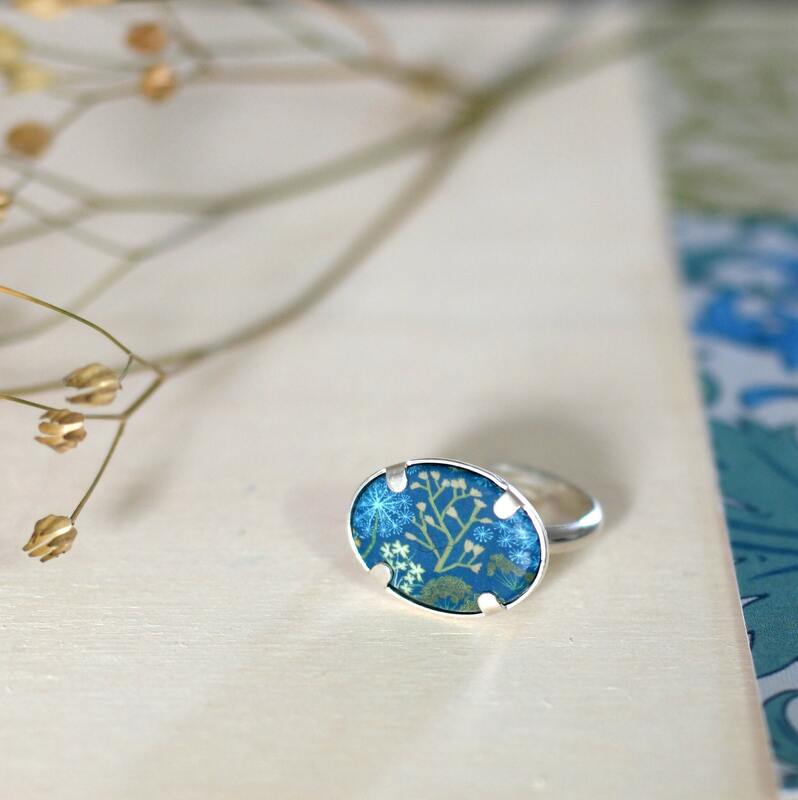 Patterns on the cabochon are completely handmade by myself, with sculpted polymer clay in weight then worked as a thin layer of textile, fashioned in 925 sterling silver, fired, the rectangle carefully sanded and varnished before Assembly. 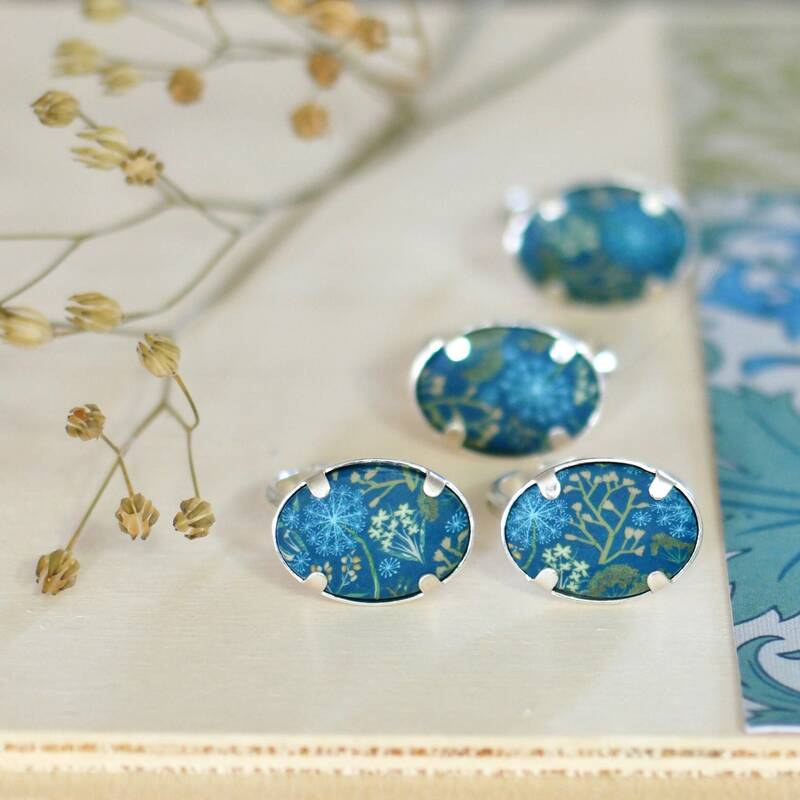 Each cabochon is unique, the position of the patterns being differently for each piece.